I would have picked Ducky. A die-hard best friend who loves you through your angst, bad-boy-faze, thrifted fashions and rocks snake skin loafers of his own? All valid reasons but the clencher is a four-letter word that rhymes with Potis Pedding. I love Duckie and would've married him had he sang me Otis Redding. Agreed! When I first watched the movie, the entire time I just *knew* that Molly Ringwald would pick Jon Cryer! I was so disappointed in the end. 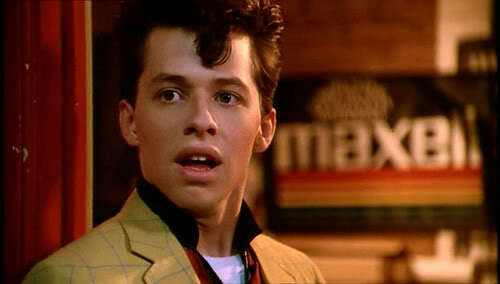 But, I guess if she chose Duckie, it wouldn't have the same overall message...but still, Duckie was crazy awesome.